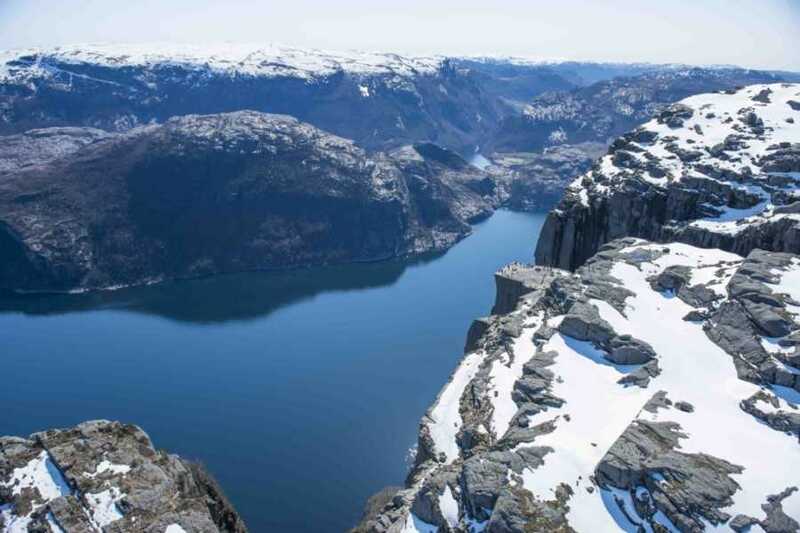 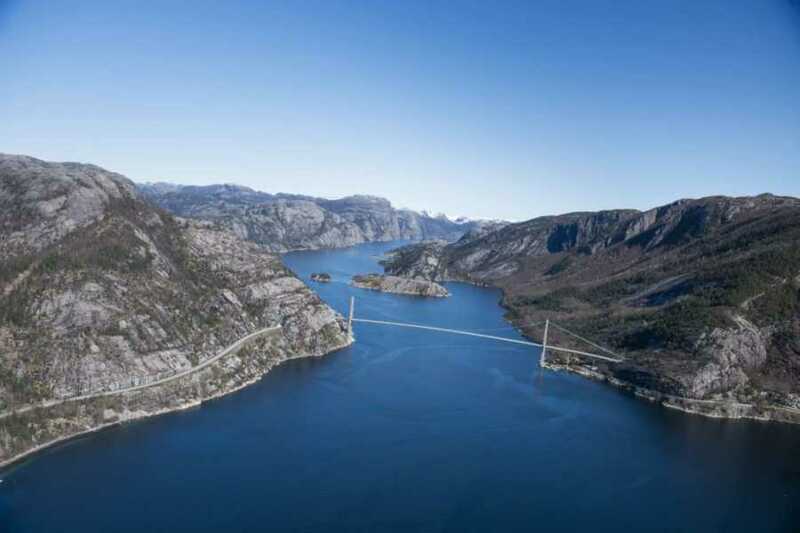 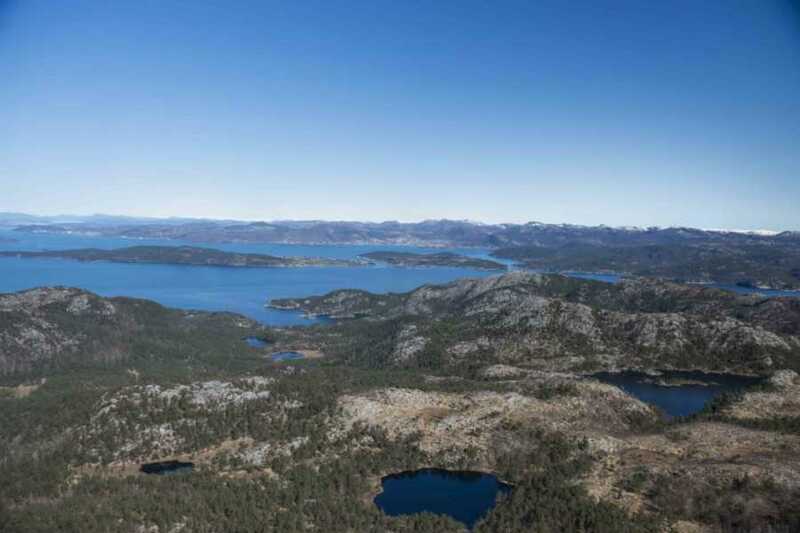 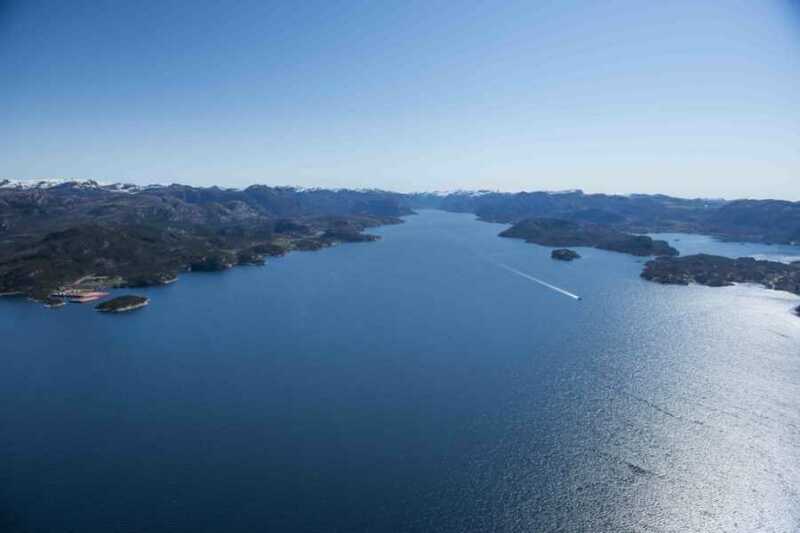 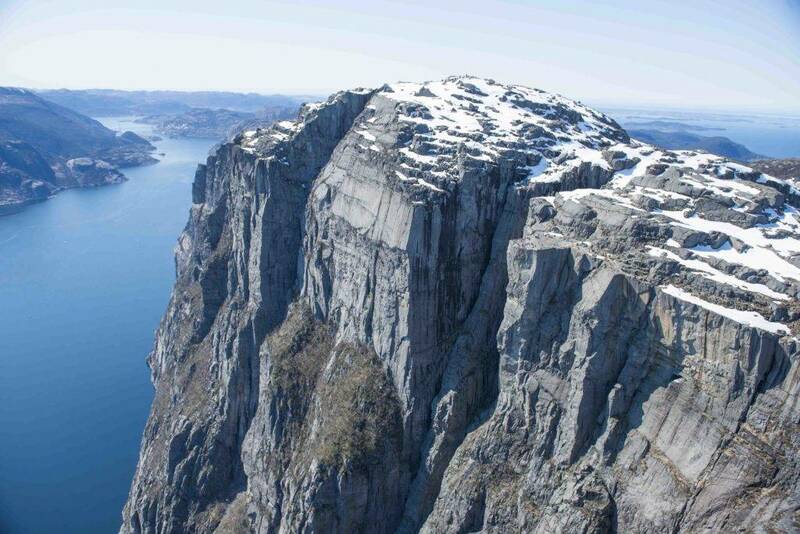 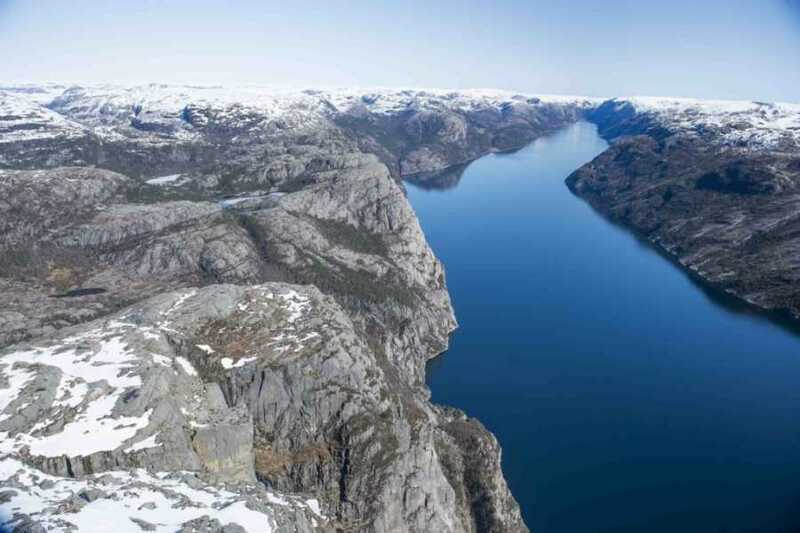 Fly over Lysefjorden and Stavanger by helicopter. This is the fastest and most comfortable way to experience the stunning landscapes of Fjord Norway . 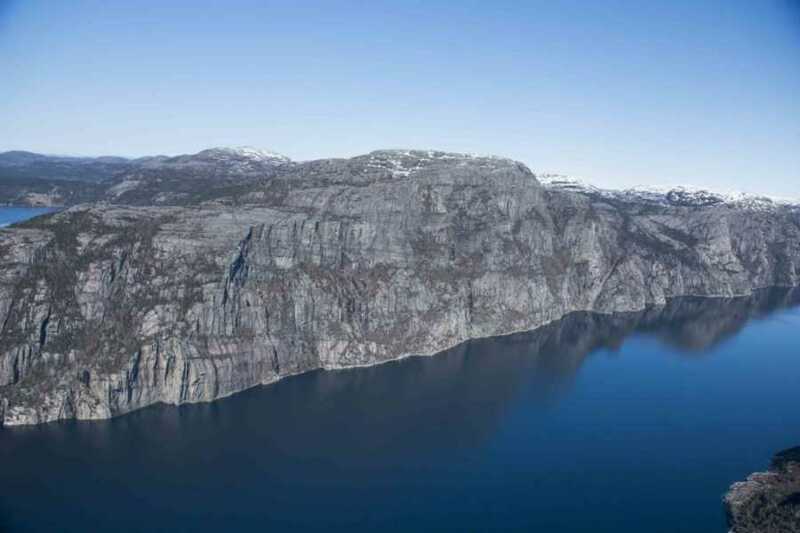 Flying for 30 minutes east towards the mountains will take you over the city of Jørpeland and up to the majestic Pulpit Rock which is located 604 meters above Lysefjorden (42 km long and 422m at its deepest) and is the region’s most visited attraction. 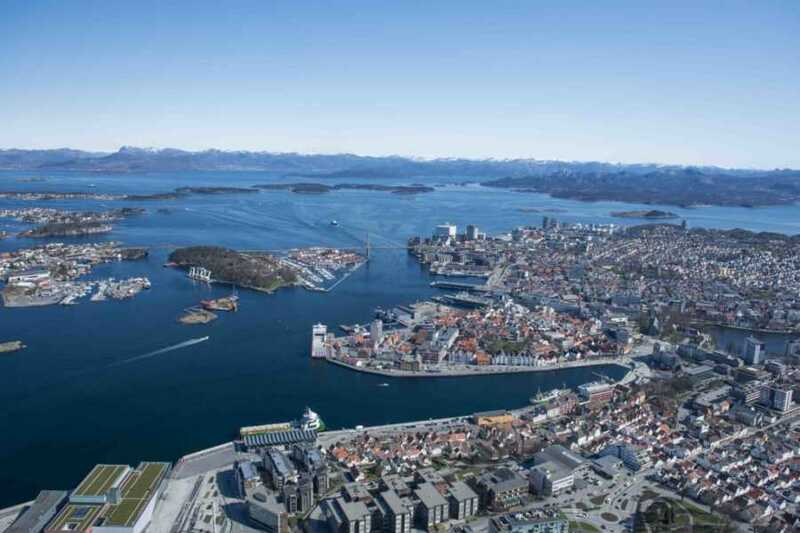 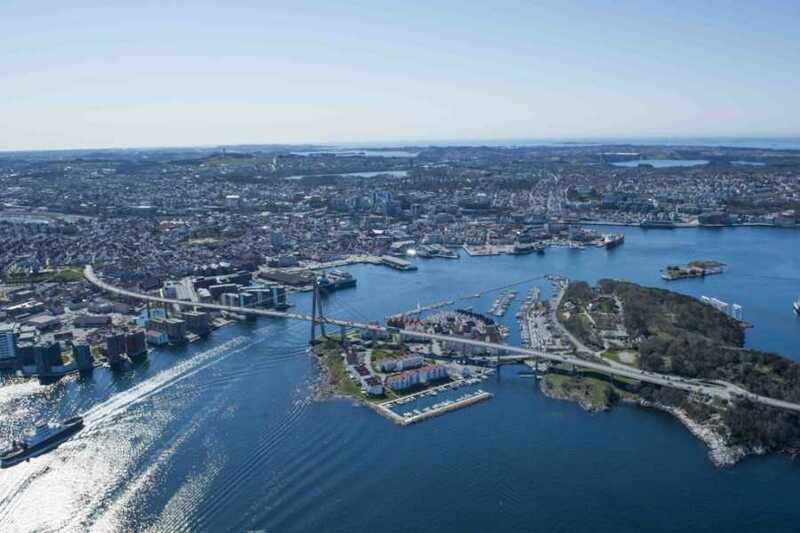 On the return trip, you fly over Stavanger and get a bird’s eye view of the buildings and cruise ships which are moored in the harbour.